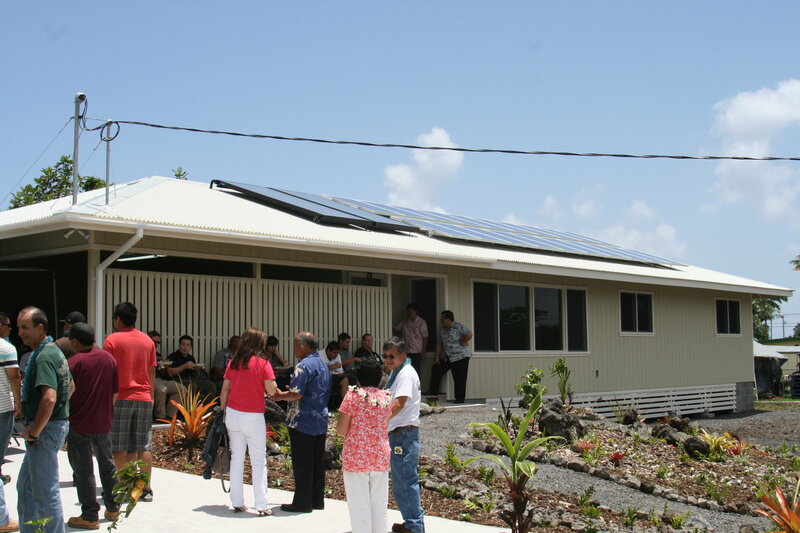 HILO, Hawaiʻi – A home built by students in the Hawai‘i Community College (HawCC) Model Home Program was dedicated today in the Hawaiian homestead community of Keaukaha. 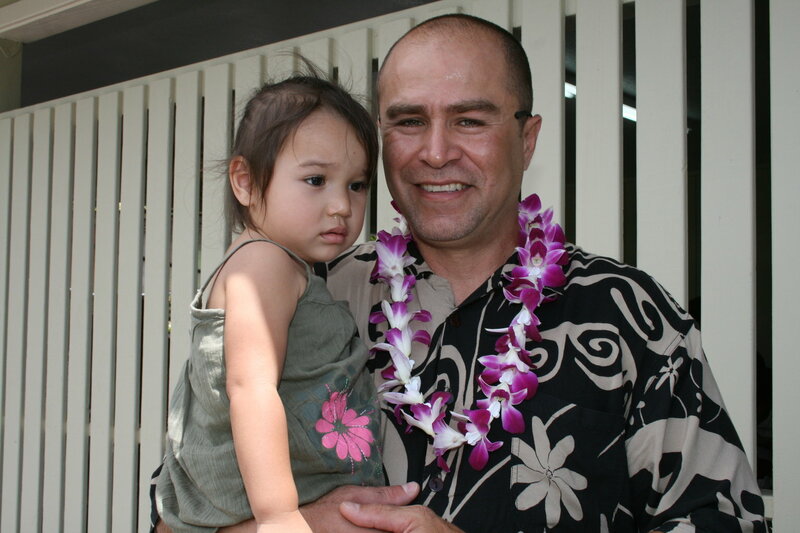 A traditional Hawaiian ceremony called moku ka piko, meaning the cutting of the umbilical cord, was performed to initiate the new home. The symbolic piko was made of plant materials gathered by the HawCC students and woven together, with each plant possessing a specific reason for its use in the piko. For example, the kukui represents enlightenment and the koa represents strength. The three-bedroom, two-bath home was built at a cost to the future homeowner of $199,935. 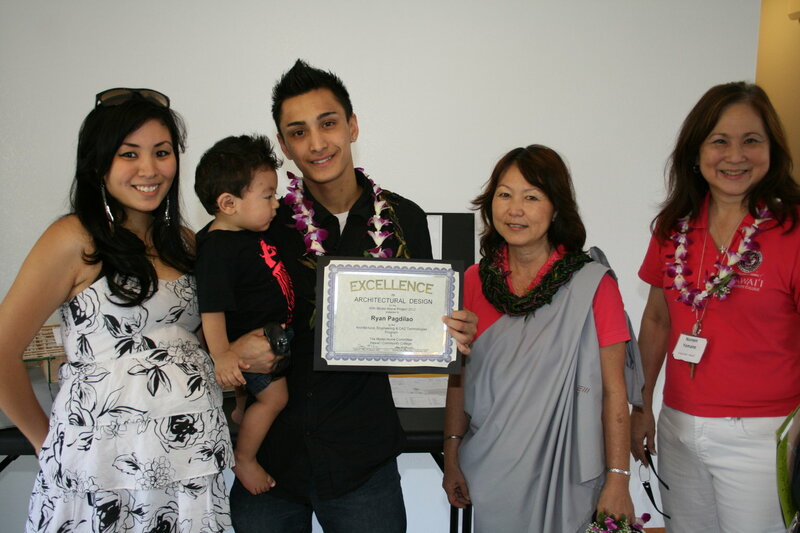 Hawaiian Home Lands beneficiary Denice Keliʻikoa is the prospective homeowner for the home. She has been on the Hawaiian homes waiting list since January 1986. The Pakele Lane home utilizes energy-efficient technology including a solar water heater system, a 4 KW Photovolatic system, and Energy Star qualified appliances. The home also includes custom-built cabinets, doors, and windows. 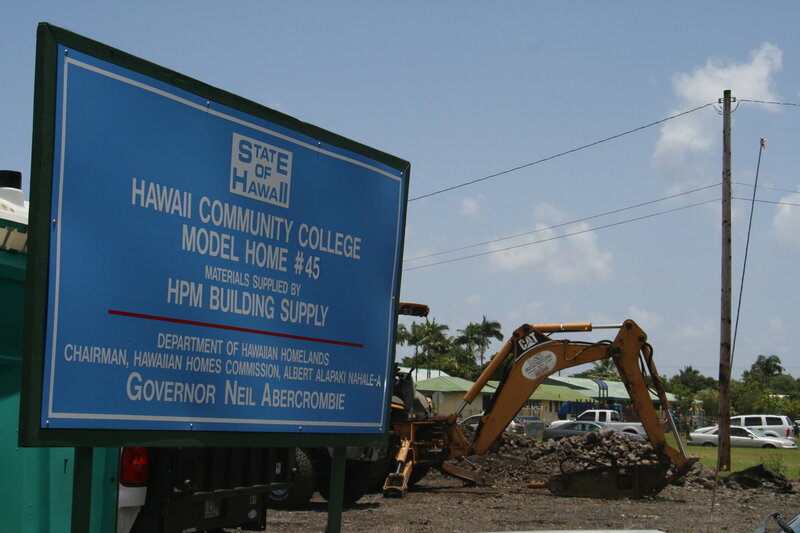 The Model Home program at HawCC provides instruction in drafting, welding, carpentry, electrical, and landscaping. HawCC coordinates the painting, plumbing, carpeting, and drywall subcontracting work. The residential dwelling was the 45th home to be built under the partnership between DHHL and HawCC. 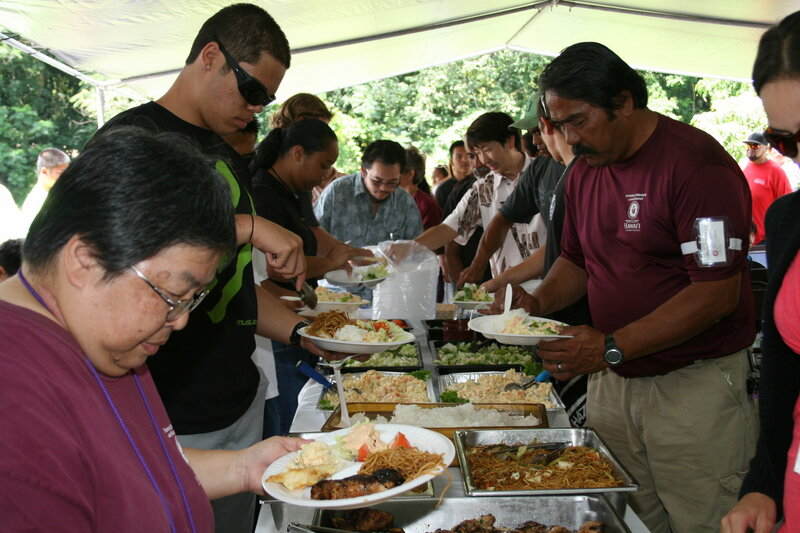 Under the agreement, the DHHL provided space and funding which allowed the students to acquire on-the-job skills in home construction, while also helping the DHHL fulfill its mission of returning native Hawaiians to the land. Since the Model Home program’s inception in 1965, over 3,640 drafting, welding, carpentry, electrical and agricultural students have participated in the program.